How do you know if a home is going to be easy to renovate? What secrets could your home (or future home) be hiding? Each time a new client approaches us with a home remodel or addition project, we do our research on that property. Homes have a funny way of hiding restrictions that can keep you from adding a second story or expanding your kitchen. There’s no sense in spending money on a new design if it can’t be built. 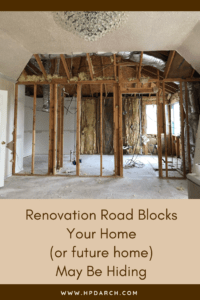 Here are our tips on how to reveal potential renovation roadblocks and possible deal breakers when looking to buy a home that you may want to renovate. Search the web for your county’s “Appraisal District” and do a property search to determine if there are any restrictions at the county level. 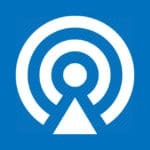 In Dallas County our site looks like this: http://www.dallascad.org/. the number of bedrooms/bathrooms, fireplaces, etc. Also look to see if there have been additional improvements like an added garage, deck, storage buildings, swimming pool, etc. (basically, any time a permit has been requested for improvements). Next, you’ll want to take your list from the property search and compare it against the property survey to make sure the information matches what is actually at the house. Make sure the survey also accurately compares to what’s on the appraisal district’s site. Are the metes and bounds of the property matching? Are there any easements, setbacks, or electrical lines? Where is the house located in relation to property lines? These are all important details to know before you begin building an addition. Review your city’s zoning website to determine what the property zoning is, and what zoning designation is applied to the neighborhood, street or even the specific lot. The zoning will tell you what can and can’t be done regarding improvements to the property and land. Look for any additional overlays (i.e. CD= Conservation District, PD= Planned Development Area, DD= Delayed Demolition Area as these may require additional permits). 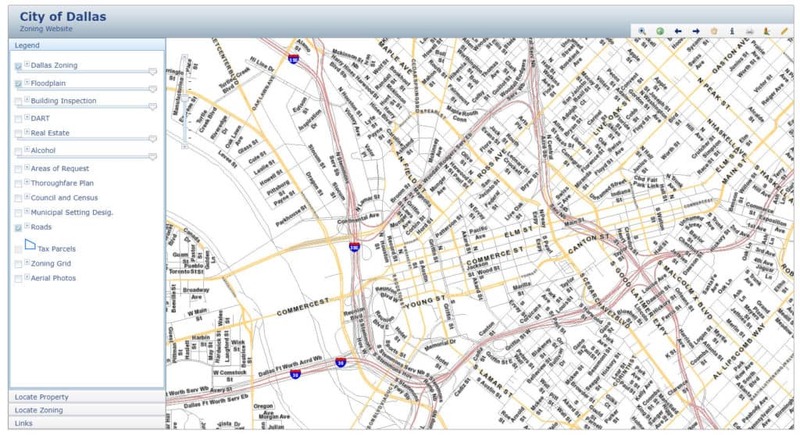 On the Zoning page of your City’s website you should find a link to a zoning map. 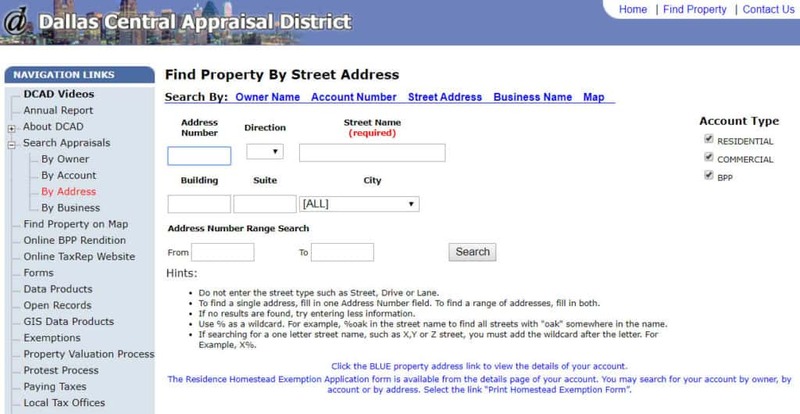 Search for your property’s address and find the zoning information. In Dallas, Texas the map site looks like this: https://gis.dallascityhall.com/zoningweb/. With the zoning information in hand, go to your city’s website and look up the zoning ordinances that apply to your property. These can be very tedious to review but the information you may unfold is critical. Review the table of contents and find the ordinance list. Check for site setbacks, max height of the building, how many stories the property can be, and lot coverage (so you don’t unintentionally build out the entire lot). Also look for any architectural standards that have to be complied with (i.e. conservation districts with requirements for architectural styles and features, historical districts, etc.). Your new modifications will need to stay in character with what the city or district requires. Take a close look at your property’s survey drawing. The building’s distance to the property lines should be noted. You can then compare these dimensions to the front, side, and rear setbacks and make sure they are in compliance with the current zoning. Often older neighborhoods are not in compliance because the zoning came after the house was built. This can create problems because you can’t modify something that is within a setback. Just update the home cosmetically and keep the house or sell it. Apply for a variance but realize this can get complicated and expensive and is not always approved. Play by the county’s rules and move forward. Floodplain: Check the FEMA maps to see if the property is in a floodplain as this may affect whether the property can be insured and/or improved. Max lot coverage: Check this carefully. If the house is at max lot coverage, your expansion won’t be possible. Non-compliant or unpermitted structures: The city may require that these types of structures be torn down before you can begin your renovation project. 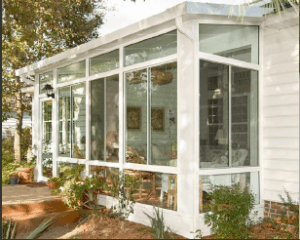 Examples of non-compliant or unpermitted structures include garages built over side setback lines, glass sun rooms off the back of a house, semi-permanent storage structures, man caves/she sheds, etc. Don’t let property secrets ruin your plans for a home purchase or renovation. 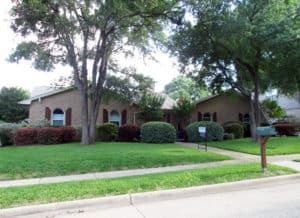 Do your due diligence and have your checklist ready, check the county site for anomalies, review the property survey, city zoning requirements, property deed restrictions, floodplains, lot coverage, non-compliant structures, and homeowners’ association rules (see if the association has an architectural review board). Save yourself a lot of heartache. It’s much easier to figure things out in advance vs. waiting until the city rejects your plans. If you have questions on a specific property, hpd architecture + interiors would be happy to be a sounding board for you. Give us a call at 214.751.2304.